I've recently been playing around with Celestia, an awesome open source application that lets you explore the universe in much the same way as Google Earth/Sky. The cool thing about Celestia, is the ability to render the graphics based on time of day (you can even pinpoint it to any time in history). 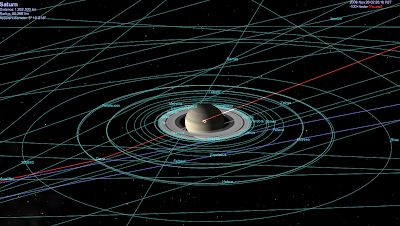 The graphic you see here is one I made of Saturn (at exactly 02:26:18 PST on November 26, 2008). Click for larger version. In addition to being a whole lot of fun, it's a fantastic educational tool (take note, teachers). What do you think? How can the X PRIZE use these types of tools to help aid in education?